The long-awaited launch of Southwest Airlines flights to Hawaii is ever so close to fruition. Southwest has officially announced that they’ll start flying to Hawaii. They’ve also announced the first Southwest Hawaii destinations and confirmed when they plan to start flying the routes. Southwest customers have been eagerly waiting for the low-cost airline to make their way to Hawaii. It should mean more competition for routes from the west coast to Hawaii and therefore lower prices. That’s the hope anyway. The two main competitors that Southwest will face are Alaska Airlines and Hawaiian Airlines who have already begun to lower prices in anticipation of Southwests entry into the Hawaii routes. The biggest question is, when will they actually launch these Southwest Hawaii flights? When will Southwest Start Flying to Hawaii? Southwest has been working non-stop on preparing for their flights to Hawaii. They have their new facilities, equipment, staff and Hawaii flight schedules all ready to go. Southwest has opened a base in Los Angeles to help staff the Hawaii flights, and they have plans to set up a large operation in Honolulu with several gates. Southwest has also been working for over a year with the Federal Aviation Administration to get certification for long, over-water flights. The certification that Southwest is working on getting is called ETOPS (Extended Twin Engine Operating Performance). To get ETOPS certification Southwest must prove that they can safely fly for an extended amount of time in the event of an engine failure. Because Southwest is completely ready for their Hawaii flights, they’ll likely start flying days after receiving their certification from the FAA. The bad news is that certification seems to have been delayed. Even with delays, Southwest should begin flying to Hawaii in early 2019. A January or February launch is expected. Just in time for the end of whale season! April, 2018 – Southwest announced that it plans to fly to four Hawaiian destinations. 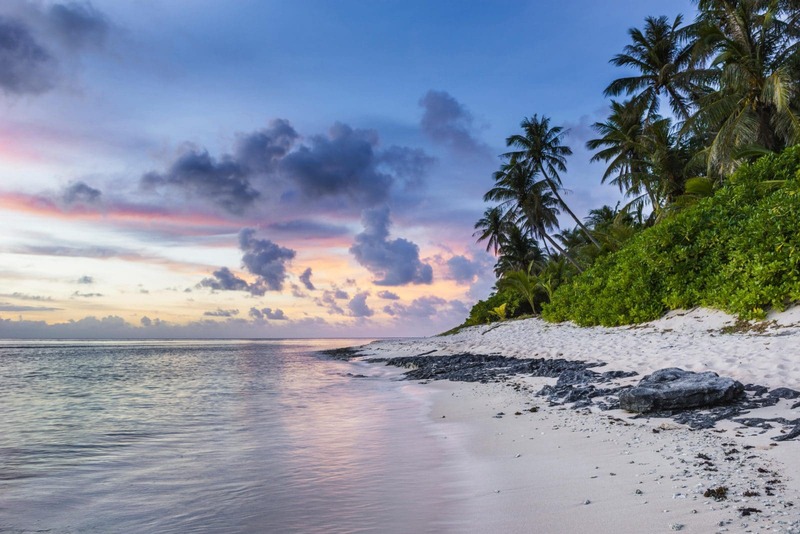 Oahu, Maui, the Big Island, and Kauai will be the first Southwest Hawaii destinations. May, 2018 – They announced that the first four Southwest routes to Hawaii will depart from Sacramento, Oakland, San Jose, and San Diego. August, 2018 – Southwest said flights would likely be announced in October and would start flying weeks later. December, 2018-January, 2019 – Completion of ETOPS testing of flights across the Pacific Ocean, ETOPS final certification, flight announcements, and ticket sales go live. January-February, 2019 – Direct flights to Honolulu and Kahului begin operating. 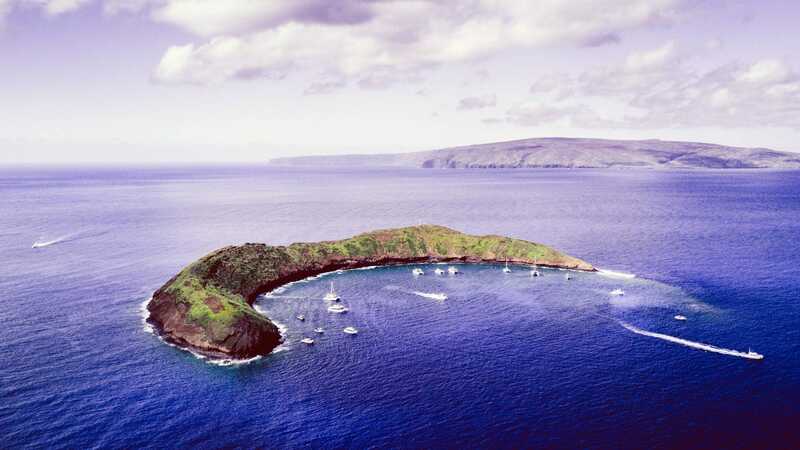 February-March, 2019 – Flight extensions to Kona and Lihue begin operating (inter-island). March-June, 2019 – Direct flights to Kona and Lihue begin operating, inter-island flights begin operating (including Hilo), and flights from Los Angeles begin operating to all four islands. These are our timeline predictions of how we think it will play out after reading every possible article we could find on the Southwest Hawaii flights situation. Adding Southwest flights to Hawaii is just about as good as it gets for customers looking to travel to the islands. 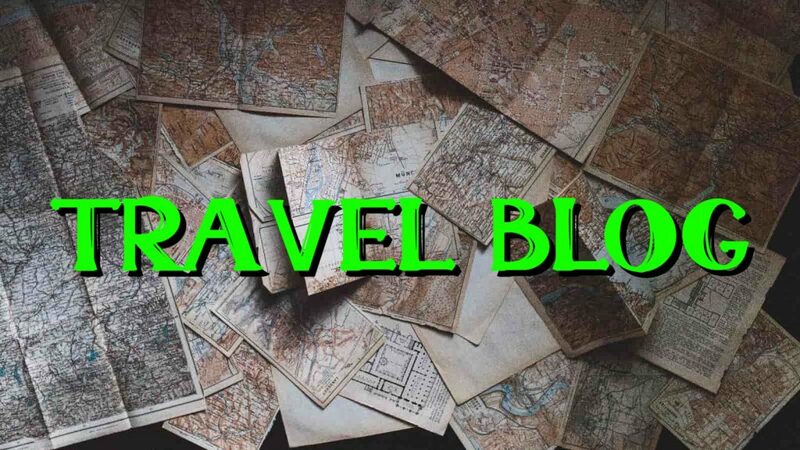 Personally, two of my favorite things in travel are joining forces. Southwest Airlines and Hawaii are finally getting together. Southwest has officially announced that they will soon be offering flights to Kahului, Maui (OGG), Kona-Kailua, Hawaii (KOA), Lihui, Kauai (LIH), and of course Honolulu, Oahu (HNL). By far, these are the most frequently used airports in Hawaii so it makes sense why they chose them. Budget travel to Hawaii just became more competitive. The first four departure airports that will have Southwest Hawaii flights are Sacramento (SMF), San Jose (SJC), Oakland (OAK), and San Diego (SAN). All cities in California, which makes sense because they are the closest distance to Hawaii. We’ve been waiting for this day for years, and absolutely love that there will be Southwest flights to Hawaii. We travel to Hawaii on average, at least once per year since we started traveling with points and miles. It’s our favorite destination and now it will be even easier to travel to. One thing I’m extremely excited about is using a Southwest Companion Pass on Southwest flights to Hawaii. This allows for some extremely good deals and savings to be had! Just think, buy-one-get-one-free flights to Hawaii for two consecutive years using a Companion Pass… That’s absolutely incredible. We might just have to start going to Hawaii every month! Southwest plans on flying inter-island routes as well. Currently, there are only a few options to go between the islands. Having another competitor in the space should create some cheaper fares for island hoppers. Sometimes it’s nice to take a longer Hawaiian vacation and split your time between multiple islands. My wife and I did this for our honeymoon and to celebrate our one year anniversary. What Hawaii Routes will Southwest Fly Next? 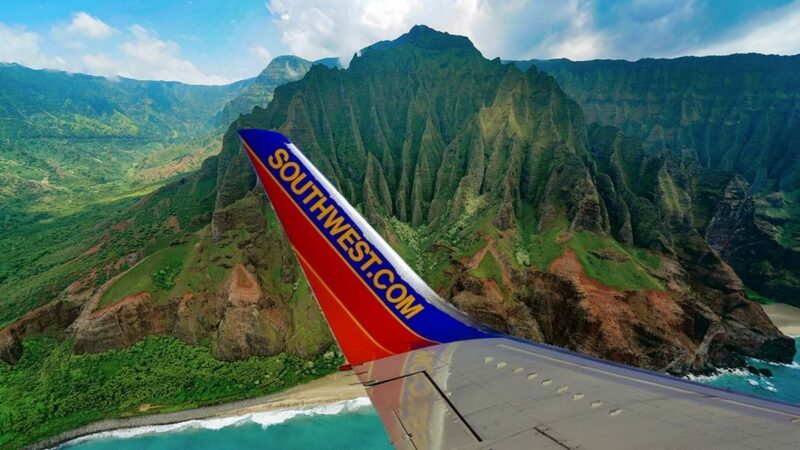 Where do you think Southwest will fly to Hawaii from? So, the time has come. I’m about to be on a plane with Southwest Airlines, flying to Hawaii! It’s so exciting, but what should I expect the experience to be like? Will it be any different than other Southwest flights? Normally, Southwest flies shorter routes over land. This is a five-plus hour flight over the Pacific Ocean. Are my bags still free? Are there food and drinks? Do I have an assigned seat? Do they use the same planes without first class? There are so many questions about the new Southwest Hawaii flights. We have the answers you’ve been looking for when it comes to Southwest Airlines flights to Hawaii. Most things will be the same as any other Southwest flight, but there will be a few differences to accommodate the longer flight times. One reason that customers are so excited about Southwest flying to Hawaii is that having another competitor should lower prices. Experts predict a pricing battle on Hawaii flights between Southwest, Alaska, and Hawaiian. Many think that flights will begin at prices from $99-139 each way. Southwest moving in on the Hawaii market is much needed for customers. Prices for Hawaii flights have become outrageous in recent years. A few years ago you could find Hawaii flights for $300-400 round-trip pretty regularly, but now you’re lucky if you find the same flight for under $700. – Southwest Airlines president Tom Nealon. Not only will Southwest have low prices, but it should lower its competitors’ pricing as well. A Northeastern University study showed that when Southwest enters a market, it drops the prices of airfare up to 24% for those routes. They called it the “Southwest Effect”. Let’s hope that’s the case with Southwest Hawaii routes. The Southwest boarding procedure will stay the same for the most part. Having no assigned seats, and rather getting a boarding order at check-in will stay the same. Getting on and off the planes may be slightly different. In Hawaii, Southwest will likely use outdoor boarding ramps and possibly board from both the front and back doors of the planes. They’ve been testing this procedure at a few California airports to see if it speeds up the process. Southwest will use boarding ramps because many of their gates will be on the ground level and weather most often permits it. One thing that Southwest doesn’t have, that it’s competitors do, is first-class seating. Southwest has never offered a first-class and they won’t start now. Their Hawaii flights will have the same seating arrangements as its other planes with the one class throughout the plane. Note that Southwest emergency exit row seats usually have more leg room than elsewhere. No seat assignments. There will still be a $15 early boarding option. No in-seat charger ports. You’ll need to bring a charged battery and perhaps a portable battery charger. In-flight entertainment will be available on your own devices only. Wi-fi may be available for a fee. No meals will be for sale on Southwest flights to Hawaii. There will only be drinks and snacks as is customary for Southwest Airlines. Southwests planes don’t have ovens or coolers in the galley so having meals is not an option. I would, although, imagine that the snack options will be broadened compared to other Southwest flights. Along with the typical pretzels, peanuts and crackers, they’ll likely have larger snacks for purchase. I’m guessing things like nuts, dried fruits, chips, jerky and cookies will be for sale on Southwest Hawaii flights. Bags always fly free on Southwest. It won’t change for Hawaii flights, as you’ll still be able to check two complimentary bags. Having no fees for checking two bags can save upwards of $50 on each one-way flight per person. What Planes will Southwest Fly to Hawaii? Southwest currently flies all Boeing 737’s for every single flight, which will be no different for their Hawaii flights. Southwest will eventually upgrade it’s Hawaii flights to use 737 MAX 8 and MAX 7 jets, which have greater range and better fuel efficiency. They also carry more passengers and have an extra restroom. With these new planes, Southwest will have the opportunity to fly directly from the US Mountain West region (Denver and Salt Lake City). Another great thing about Southwest flying to Hawaii is the ability to use Rapid Rewards points on their flights. 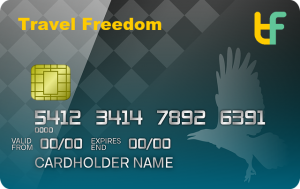 On average, Rapid Rewards points are worth 1.6 cents each when used for a “Wanna Get Away” fare. That means if the pricing estimations above are correct, you’ll be able to find one-way Southwest Hawaii flights for 6,000-9,000 points. That is an incredible value of points! 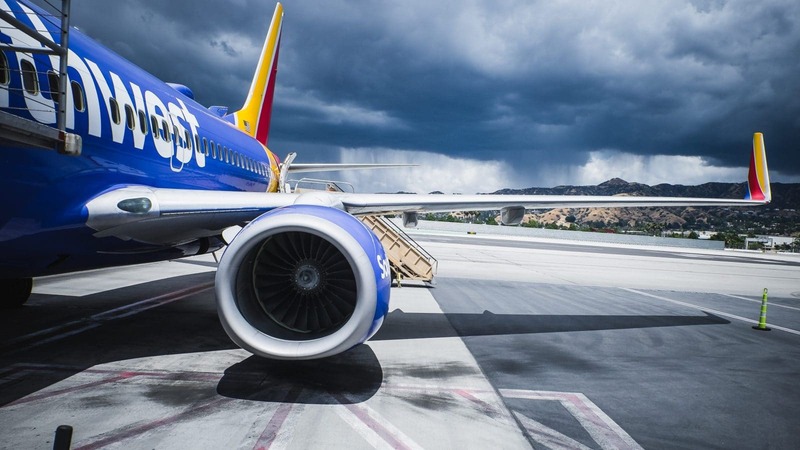 If you consider that sometimes the Southwest credit cards offer signup bonuses of 60,000 miles, you could purchase up to five round-trip flights with a single credit card offer. It’s an even better value if you can earn a Southwest Companion Pass for two years, essentially doubling the value of your points. Will Companion Pass Work for Southwest Hawaii Flights? Yes, a Southwest Companion Pass will be valid to use for Hawaii flights. This means that you can both use Rapid Rewards points and a Companion Pass together, to get a free second ticket while using points. Did I mention, if you earn Companion Pass you’ll have it for up to two years and you’ll also have at least 110,000 miles to use! I almost can’t believe how amazing this opportunity is. You can earn a Southwest Companion Pass by earning 110,000 miles in one calendar year (credit card signup bonuses count). 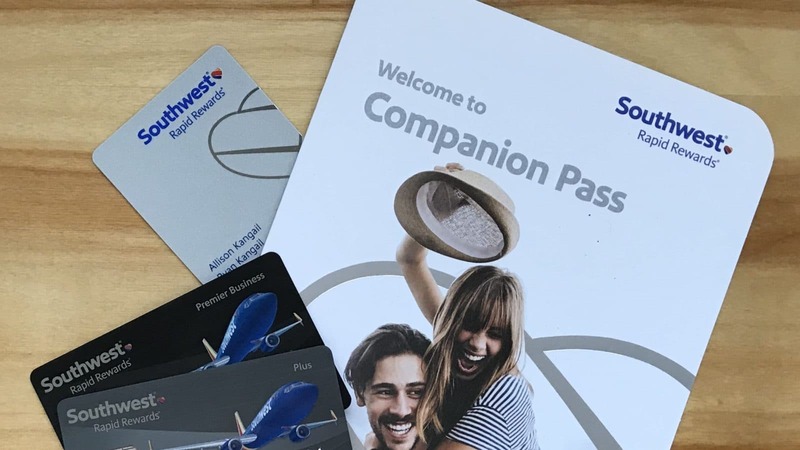 Here are all the available Southwest credit cards that can help you earn your own Southwest Companion Pass to use on Hawaii flights. We already earned ours and are ready to take action in 2019! 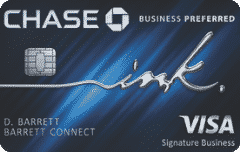 Did you know that Chase Ultimate Rewards points transfer to Southwest at a 1:1 ratio. After you earn your Southwest Companion Pass, you can stack your Southwest miles balance by earning Chase Ultimate Rewards to transfer to your Rapid Rewards account. 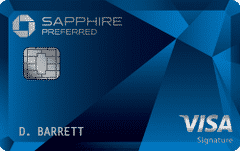 Below are the best credit card offers to earn Chase Ultimate Rewards points. Southwest bringing its service into the Hawaiian market is sure to bring some fierce competition. The main competitors for Southwest Airlines flying to Hawaii, are Alaska Airlines and Hawaiian Airlines. Airline industry analysts are predicting Southwests entry into the Hawaii market to cause both a pricing war and a “game of one-upmanship unlike any since airline deregulation in the ’70s”. Both Hawaiian Airlines and Southwest pride themselves on their customer service and generousness. It will be interesting to see how far they will go to keep/gain customers. Executives of Hawaiian Airlines and Alaska Airlines were recently asked questions about the possible pricing war that Southwest will bring. Both airlines’ executives said that they are positioned well in Hawaii with amenities and features that Southwest does not have. Two things that Hawaiian Airlines has that Southwest doesn’t, are first-class and meals. In fact, Hawaiian has revamped first-class with lie-flat seating in many of their planes. The incoming pricing war for Hawaii flights has even made its way into reward travel. Alaska recently lowered the number of miles needed to fly from the mainland to Hawaii. A round-trip reward flight on Alaska Airlines will now take 25,000-30,000 miles. For customers looking to fly to Hawaii, this competition is great news. It should make prices to fly to Hawaii much more reasonable both in the short term and long term. So, now that we’ve covered every single angle of the new Southwest Hawaii flights news let’s decide when we think there will officially be Southwest flights to Hawaii. January of 2019 seems very likely. Southwest had planned to roll out their Hawaii flights in 2018, but they had unforeseen roadblocks. The ETOPS certification has taken longer to finalize than they had imagined. The good news is they are completely prepared to launch as soon as they get the go-ahead from the FAA. If Southwest isn’t flying Hawaii routes by the end of January, I’d imagine it won’t be long after that they launch service. Southwest is well prepared for their launch of Hawaii flights. Are you?